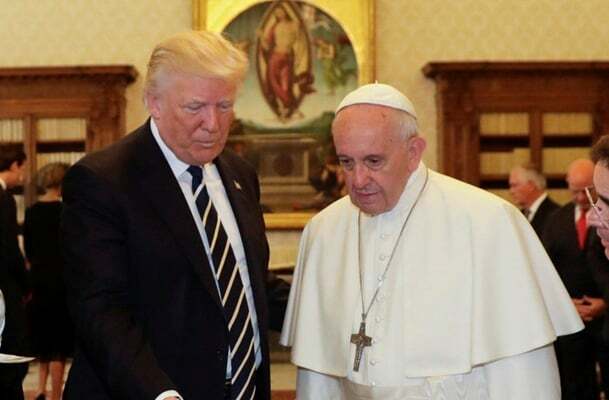 An Iranian official has called on Pope Francis not to remain indifferent to the US sanctions due to be re-imposed on the Islamic Republic by US President Donald Trump On Monday, November 5. Seyyed Mostafa Mohaqqeq Damad, the head of the Department of Islamic Studies at the Iranian Academy of Sciences, asked the Pontiff in a letter to speak out against the sanctions imposed by a large Christian country against the Iranian nation. Despite reports by the International Atomic Energy Agency (IAEA) which for 12 times confirmed Iran’s compliance with the nuclear deal, “the US president unilaterally withdrew his country from the deal,” Mohaqqeq Damad said in the letter. “As you know the principle of sticking to on one’s commitments is highly respected in all religions. The US president has also gone further by making bitter decisions which are directly hurting the Iranian nation. The sufferings which are to be inflicted on the Iranians are no secret anymore and they are not restricted to the shortage of food and medicine,” the letter said. He said the human conscience can never accept the suffering of children, the elderly, pregnant women and other vulnerable groups of the society. “It is more regrettable that the decisions are made in an era during which you hold the leadership of the world’s Catholic Christians and are highly respected by the followers of other religions,” he noted. The letter comes as the Trump administration is going to re-impose the US sanctions on the Islamic Republic on November 5.